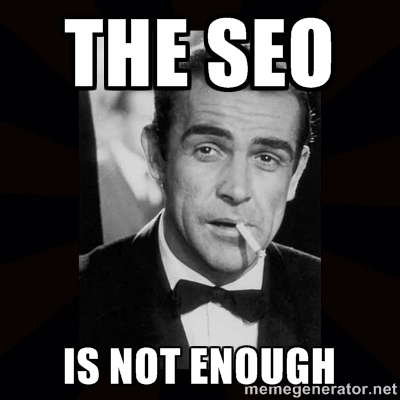 The SEO Is Not Enough. It’s not a secret, I am one of the few guys left on the planet who do not believe in the magic of SEO. I believe SEO methods are good, but they must be combined with user prediction models and utilizing user behavior for better content serving. W hy am I writing this? Well I think it’s time now to talk about it. I am sure first position on Google or other search machines is something good, but is this what the user is actually looking for? In most cases, probably yes, but this will change soon. I think search machines must be smarter than that. I don’t want to see results that others, SEO ninjas for example, want me to see. I want the results that will give me the answer I am looking for. I don’t have time to scroll and browse. This opens another story, about privacy and about giving the companies your preferences, but I do think this can be done in a way to make everybody happy. Help a freelance journalist in #Crimea. He needs urgently a laptop. Well, there is truth in your thoughts. I’ve red an artile about the new Yahoo’s algorithm and I think they are going this way. Also I remember a project from Australia doing in-browser personalization.